AmGeneral Insurance Berhad (AmGeneral) is founded on a combined business of two former entities, AmG Insurance Berhad and Kurnia Insurans (Malaysia) Berhad with the acquisition of KIMB by AmBank Group and Insurance Australia Group International Pty Ltd (IAG) in September 2012. With our strengthened market position, AmGeneral stands as a pillar of the industry, representing stability and strength with exceptional product offering, distribution and customer service. As one of Malaysia's largest motor and leading general insurance company in the market, AmGeneral has underwritten RM1.5 Billion Gross Written Premium for Financial Year 2017/2018 under its two well-known, trusted brands - AmAssurance and Kurnia Insurans which are the face of the company to its agents, brokers, customers and the general public. Together, AmAssurance and Kurnia insure one in every six cars in Malaysia and is ranked Top 2 in Motor with a market share of 15%. For overall general insurance, AmGeneral Insurance is Top 5 in overall market share as of 1st half of 2018. 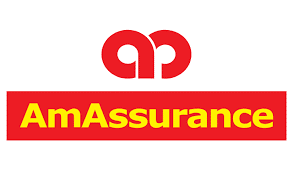 With over 4 million customers, the Company generates business from a comprehensive range of general insurance solutions distributed through a network of 33 AmAssurance and Kurnia branches, servicing 7,000 agents and dealers, as well as through AmBank's branches nationwide.